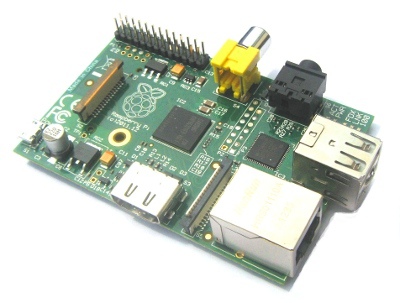 Welcome to www.rpie.co.uk – Everything Raspberry PI no PIE! Click here for Sitemap or use the search! A $25 credit card sized computer motherboard. It is sold without case/keyboard/mouse. Its target audience is as a learning tool in educational for schools. IT enthusiasts also use the device to create new innovative devices. From webservers, webcams, Robotics, Temperature monitoring, hi altitude photography, mini game consoles, media centers – The list is endless!! It has created much interest and creativity in the IT world! In its educational form it is mostly used to teach people to program in python. I have a Raspberry PI Model B with Camera. I hope to blog about my progress and future projects on this site. I currently use the PI with a tri-pod for time lapse photography and have recently added a battery pack to enable me to locate the PI remotely. Also Use the search area and tags on the right hand side to navigate the content.